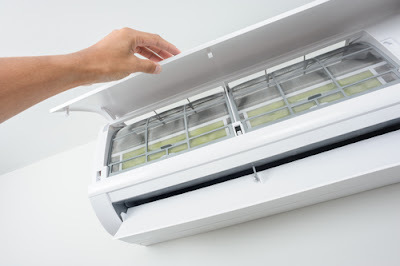 Basically, Daikin aircon units are duct- free systems that comes with a variety of features to enable the quiet and highly efficient production of cool air. 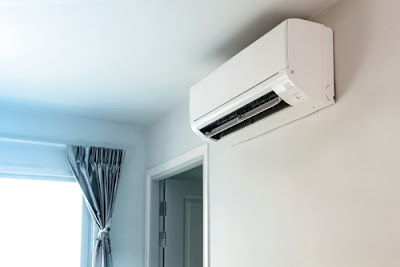 In this blog post, you are going to learn more about these air conditioners, their features, advantages and benefits of getting an air con unit from Daikin and a variety of other important aspects about this brand and its products. Read on to learn more. Ceiling-, floor- or wall-mounted, the split – type air conditioner from Daikin are designed for single room application. They come with drying and humidifying capabilities. You can also get one with a photo catalytic air purification filter to clean air and get rid of odors, bacteria and viruses. If you need to remove additional contaminants, consider purchasing and using air purifying filters. These units come with a DC motor for the fan, another for the compressor and a swing compressor. Therefore, you can be sure that they have strong energy performance. Additionally, you also have the option of buying models that use remotely controlled �econo’ modes and pulse amplitude modulation controls for greater energy savings. Most people prefer the Daikin split type aircon systems because they can minimize sound production and come with 5 step fans to give you greater operational control over the sound. The aircon systems from Daikin can be used in up to 8 rooms with a single unit. They come with optional 5 – room centralized controllers. Therefore, you should be able to set the operation of each unit from one location and activate it individually. Similarly, the multi-type air conditioner from Daikin has a reluctance DC motor and a DC inverter to improve efficiency. These motors enable the units to reach SEERs of up to 19.5. To this end, the systems will reach the desired temperature levels quickly. After that, you can monitor the unit for constant comfort. Additional features include high- thrust mechanisms, sound reduction measures (including the Night Quiet mode), and anti- rust materials to protect the heat exchanger installed on the outdoor unit. Even though Daikin air conditioners are affordable, you still need to take good care of them to ensure longevity and smoother operation. First, you should always change the filter on a regular basis. Where possible, schedule maintenance with authorized Daikin dealers to ensure that the system continues performing at the highest levels. Warranties for Daikin air conditioners vary, depending on the individual product you bought. Still, most of these air conditioners from Daikin fall under the 7-year warranty (on the compressor), and a 5-year warranty (for individual parts). When you buy your air conditioner, consider purchasing the Warranty Plus’ to get additional coverage on labor and (depending on the type of Daikin aircon you bought) on compressors and parts for between 5 to 10 years. Why Invest in a Daikin Aircon? Singapore has varying weather – sometimes it gets cold and at other times, it is too hot. 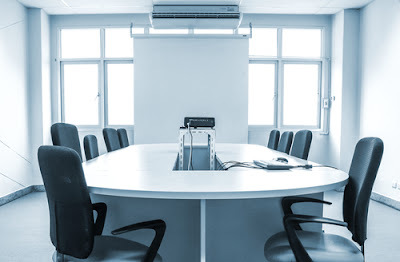 Therefore, you need a good and durable AC unit to protect yourself, your family, your employees and anyone else who walks into your home or office. Investing in Daikin AC units means that you will no longer have to worry about changes in temperature any more. After the Daikin dealer delivers and installs the system, your home, office or building will have excellent air conditioning for a long time to come. However, you need to schedule regular maintenance to ensure you continue the benefits that this aircon system delivers. The power- flow dual flaps on the Daikin air conditioner flatten out during cooling operations. Therefore, cool air will be delivered to the corners of your rooms. Additionally, Daikin aircons come with wide angle louvers to keep your rooms cool, irrespective of where you place your unit. In the same way, the vertical auto swing on these ACs keeps the power flow dual flaps moving down and up. Consequently, Daikin makes products that differ from those manufactured by its competitors in many ways. For instance, it provides functions that you can use to reduce the humidity in your rooms – not just the temperature. To do this, use the Programme Dry Function to maintain room temperature at your desired levels while removing the humidity. Daikin air conditioning units run automatically. For starters, the fan will automatically control its own speed so that your rooms’ temperature get to the desired and designed levels. Similarly, you get automatic timers on each unit. The timer will switch your AC on and off (as desired) within 24-hour periods. You can also use the Night Set Mode, one of the unique and convenient features on Daikin products. By pressing the OFF button, you automatically select the night mode, especially when the temperature increases before the system completely shuts down. Anyway, before you grasp how the automatic features work, you can use the wireless remote controller (which works separately from the switch unit) on your model. Daikin also manufactures ACs with self- diagnostic operation functions. This will alert you through the digital display or the wireless remote on the model in case the system requires maintenance and/ or troubleshooting. The exterior design of the typical Daikin air conditioner is chic. Therefore, it should look chic, whether you choose to install it in your living room, bedroom, and corridor or corner office. It also comes with flat-designed panels, meaning that you will have an easy time cleaning and routinely maintaining it. Apart from the above, you also get an anti- corrosion body that is brilliantly designed to make your AC unit look new, even after years of use. In conclusion, the air conditioners supplied by Daikin consist of outdoor units, indoor units and remote controllers. Your installation kit should come with drain pipes, installation pipes, copper pipes and power cables that you can plug point from the indoor unit and back to the outdoor unit. To ensure you have no more worries about temperature or humidity, consider getting the Daikin air conditioner of your choice today.